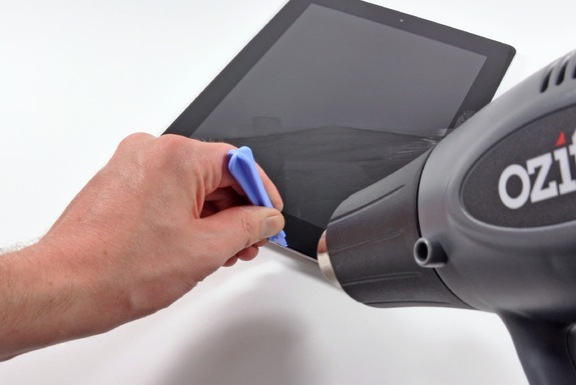 Online repair manual and teardown experts iFixit are at it again with the latest iPad from Apple. They’re in the process of tearing it down to check out its guts as we speak. As they do so, they are revealing details about the manufacturers and components used in the making of the device. The first detail that they’ve revealed is that the Retina display of the new iPad bears a model number associated with panel maker Samsung. This is a piece of information that was reported earlier this week, when it was said that LG and Sharp would not be producing the initial batch of displays, but that they would join in later after they got their batches up to the proper yield and quality. The logic board of the new iPad contains several different chips including Apple’s A5X processor, also made by Samsung, in the first week of 2012. The processor’s CPU is nearly identical to the iPad 2’s, with just 0.2 GHz more in clock speed. There is also a Broadcom BCM4330 WiFi B/G/N chip, which packs in Bluetooth 4.0 high speed and an FM transmitter. The Broadcom chip is capable of single-band 2.4GHz or a dual band mode that includes 5GHz WiFi. The driver that runs the Touch screen is a Texas Instruments CD3240. 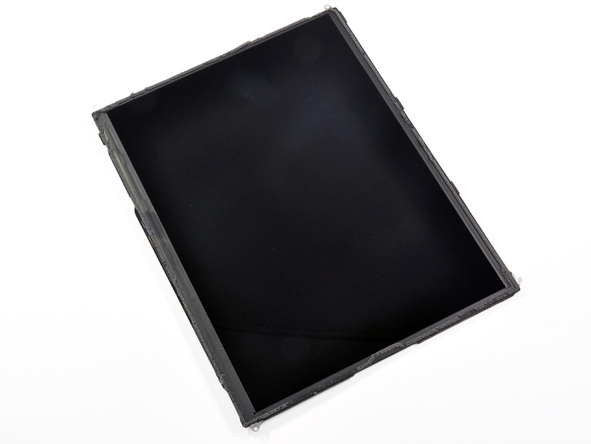 An Epcos B4064 SAW filter provides signal enhancement for the radio and a Fairchild FDMC 6683 is the same semiconductor used in the iPad 2, one of two made by Fairchild in that device. The baseband chip is a Qualcomm RTR8600 and Broadcom has another horse in the iPad race with the BCM 5973 I/O controller. There is also NAND flash memory, 1GB of RAM, that comes from Elpida and bears a part number of THGVX1G7D2GLA08 for the 16GB flavor. The 3G/4G modem is a Qualcomm MDM9600. Apple has another new chip inside too with the IC (power controller) upgraded to model 343S0561. 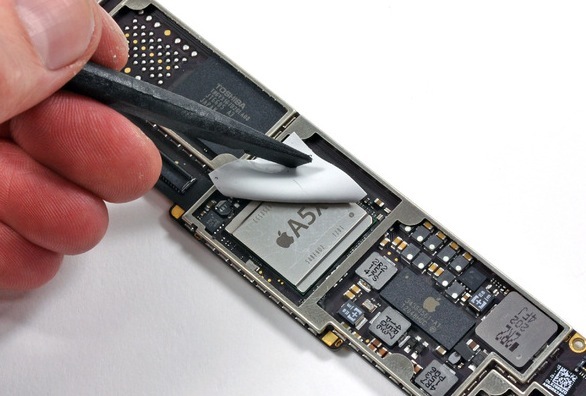 You can check out the full ongoing teardown of the new iPad over at iFixit here.